But check out this sweet drone footage titled “My Trip Around the Block” by Keith Duby. 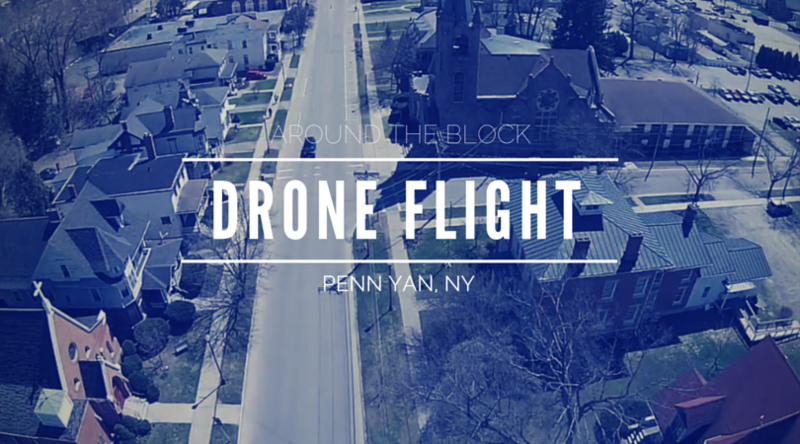 It takes you for a flight around Penn Yan and it’s pretty darn cool. It would have been awesome to have one of these about a year ago during the flood. Class of ’83 – the tree shadows are very cool. Thanks. wow! i saw my grandma’s house where i grew up, and the house next to it, where i spent an equal amount of time……….the backyards, the woods, and the creek where we played all year long. the opening picture over st. mike’s, if you look next to the house on the corner, there is a vacant lot, that is where gary and i lived, i sure hope someone got some of that beautiful oak, and the marble fireplace in the foyer, the mantle was curly maple. what a beautiful house! my uncle lived on the upper end of burns terrace. thanks for the memories!